Helping Business Owners, Executives, and their teams struggling with feeling burned-out and overwhelmed, to reignite their spark and find joy and meaning in their work again! Currently Offering Coaching Services and Workshops for Executives, Business Owners and Staff! Business coaching is something that most successful entrepreneurs invest in, and they quickly feel the value of it. Coaching not only benefits the bottom line of your businesses success but it also helps bring success to the owner and their team. It can be challenging to know where to focus your attention when you are wearing so many hats and to not feel like you are burning the candle at both ends. Through my extensive experience working with small business owners and entrepreneurs, I will help you to reignite your passion for your business and build it to be the fulfilling endeavor you once imagined it to be. Coaching will provide you with a the tools to become a better leader, create cohesive teams, and continue growing in a healthy way, rather than destroying the life balance you and your team deserve. No two businesses or Leaders are the same and attempting to emulate the actions of another doesn’t necessarily translate to success for you. 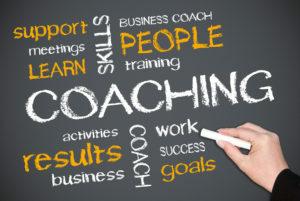 Coaching provides a customized service for you and your business specifically and takes in account of all of the variables that makes one business differ from another. Through utilizing both of our expertise to create a game plan, the unique coaching tools I will offer as well as the necessary structure and accountability, you will the additional skills to take your business to the next level. All while focused on guiding you to enjoy your business and reconnect with the passion that made you want to open a business in the first place. Declutter your Schedule, Your Space & Your Life in general…SIMPLIFY! Uptown Coaching offers many customized options for your business and team to grow together professionally. One of the most popular products I offer if the Self Discovery & Leadership Assessment and Workshop. Through the Self Discovery & Leadership Assessment and discussing the results, you and your team will gain insight into how and why you may feel the way you do, how that energy influences your thoughts and behaviors, what your leadership style is and how it may differ from the way you perceive it and the way your team may perceive it, and most importantly how you can make lasting and sustainable changes. The assessment will evaluate how involved or engaged you are in your roles and tasks, as well as your ability to lead people, including yourself, to take positive and productive action. Your potential leadership ability is determined by your level of awareness about who you are and what life is about, the assessment will provide a glimpse into that awareness. You will also learn about the principals of Energy Leadership (Leadership refers to not only how you are leading others, but also how you are leading your own life) and how to apply the energy Leadership concepts so that you can increase your ability to shift your own energy and the energy of those around you. When you do that, you will help inspire and motivate yourself and others, feel a greater sense of purpose, and get more accomplished with much less effort and stress. Ultimately, you will attract more positive energy and people, all while feeling a sense of success through fulfillment and purpose. Upon completion of the online portion of this assessment, your report will be sent to me, Lesley Poladsky, your Energy Leadership Index Master Practitioner, who will be conducting your results and insight session. This is a great opportunity for Team Building and can be done in a group and workshop format. Contact me to learn more about various workshops and content, lunch and learns and individual coaching services specifically tailored for your business and staff.